4 pcs. 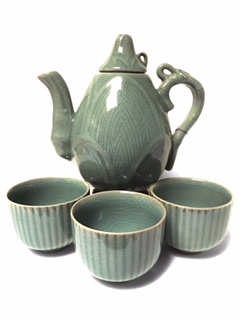 teaset of classic Korean celadon Sang Kam (carve/glaze) technique. This set is a lotus design. Teapot height 6 1/4 ".